In an old castle den, far away, in quiet and mystical Ireland. 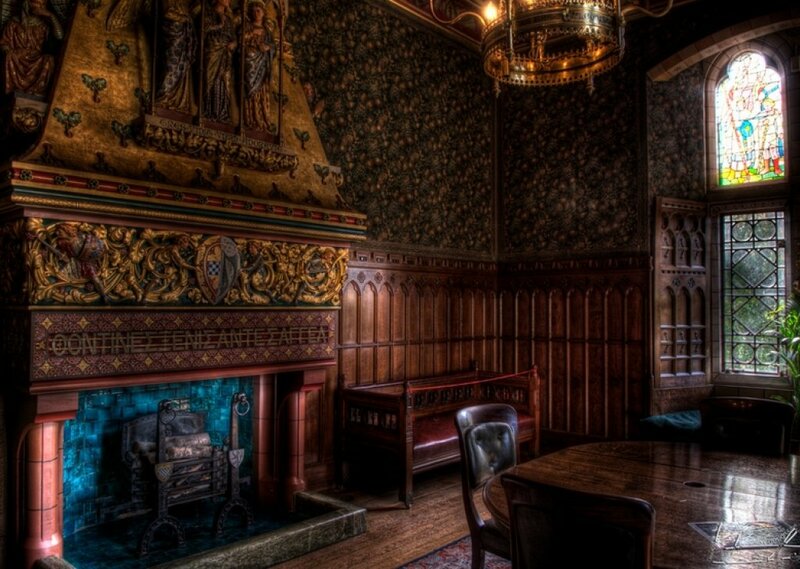 In a room lit against by the dark of night by the fireplace and clocks and surrounded by ancient texts, surrounded by history, alone save for the ghosts that are more at home in these ancient walls than you will ever be. The perfect space for writing, or reading, or philosophizing; for questioning your very existence. Comments for "Old Castle Den"
License details for "Old Castle Den"